The idea of natural talent has resurfaced often throughout my career and I think it is an interesting topic. I was having a chat this week with an amazing woman who wanted to know more about my interior designer’s business school (my mentorship program that is starting at the end of February). She was actually already successful in another industry and in my opinion naturally talented, driven, hardworking and really pleasant and personable. More often than not, I find that really talented individuals are actually afraid that they aren’t very good at design. Ironically, they are usually the ones that are naturally talented but lack the self-esteem or confidence. For those people who don’t know they are naturally talented, a great teacher will help reveal those qualities in you and help you nurture and balance the right skills that will help you succeed. Yes there are many, many people with natural talent (I would say one of my best friends Matthew Anderson who I studied architecture with in Brisbane Australia – he is totally just a natural – find him at arkitekturkollektivet ) I used to just be in awe of him and I wondered how does he do it? The truth is, when it comes to design, it IS something that can be learned. I wouldn’t say that I was a natural (no modesty here), but I definitely was creative, passionate and dared to try new things. I worked hard to get good grades at uni or beautiful results for my clients, but so do the naturally talented ones. Design is a process, cutting corners doesn’t work. It can be sped up with experience, but that’s it (in my opinion). Talent helps you to see things in a particular way, but you can learn to see things in that way even if you aren’t naturally talented. The thing is, that natural talent gives you an edge to design in a way that being confident about your style gives you the look of having natural talent. So as long as you really truly believe in what it is you are doing and find a way to express it so that others understand it, you will start to grow your tribe of followers. The thing with talent is that you can find your own and the thing with design is, that it CAN be learned, yes there are design rules and in my opinion you need to know the rules before you can break them intelligently, but once you grasp those rules, creativity gives you equally as many (if not more possibilities) and answers to solve a problem than natural talent does. So either way, there is a way to success, you just have to find your path. The dark nights are closing in and as the temperature drops, I wanted to share a couple of tips on how you can make your home feel warm and comforting this Winter. Growing up in Australia and moving over to the UK has led me to being freezing cold and wearing lots of layers all the time (yes even in summer), but it has given me the opportunity to live in lots of different types of houses and apartments. I’ve moved a lot and interestingly, some houses have felt warmer than others. The amount of insulation, the age of the building, the amount and quality of light, and the size of the windows in the property, all affect how warm a house is, but there are other ways of making a space “feel” warmer or help make our home as cosy as possible? Lighting a fire and lots of candles if you can is for me the best way to creating the feeling of warmth. Candles and candle holders come in the most amazing shapes, colour and sizes these days, and even just looking at flames can help us feel warmer. You can use mirrors to reflect the light of the flickering candles and your warm side lamps, which will help to make the room feel warmer almost instantly! Another way to feel warmer in your house this Winter is to include lots of different textured materials. As the days get shorter and the nights get longer, blankets and lots of cosy textiles are essential for creating a warm space. Faux furs, sheepskins and plush velvets all add a visual element of warmth but are also really great textures to snuggle into. Soft rugs layered onto wooden floors and sumptuous velvet, either for cushions, upholstery or curtains, will create a really luxurious and comforting finish! 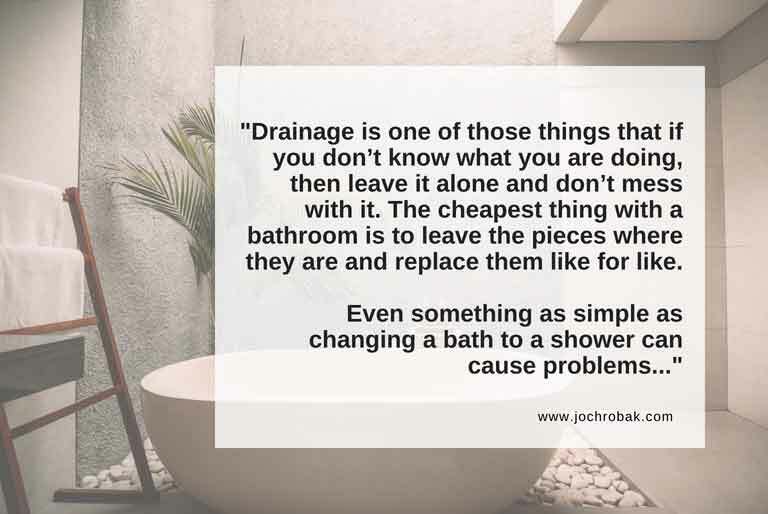 It is strange, I have had a few clients recently with the same home/usage /functionality challenges, which makes living life in their current home feel either temporary or just makes them use a lot of energy to live. However, it’s not until most people get a chance to stop and really focus or analyze the way they are living in a space that helps them see it isn’t really working or it is prohibiting them from living in the way they want to be living. For example, how many people do you know that don’t invite visitors around because there isn’t a place for everyone to sit or they never have events at their house because it doesn’t function well with more than just them in the house? The amount of effort that goes into hiding or moving personal items that haven’t got a place to live is so wasteful. Zones set up a set of boundaries that allow you to undertake a certain amount of activities. They are loose boundaries but they are there to give you peace of mind that if a visitor comes into your home you don’t have to run and hide the book you were just reading, or take down the notes you pinned up on the wall as reminders. Your public zone should pretty much be ready to receive visitors at any time (in a relaxed and ‘you’ kind of way) and your private zones in your home are just that, private, so you don’t have to stress when you have visitors that someone will question your religious or spiritual beliefs or see a bra hanging on the door handle. Visitors see your daily stuff, even if you don’t want them to. You don’t have a place to relax because other activities or other family members are using the space for another activity that is contrary to the one you want to do at the same time (reading quietly or watching a really distracting TV show). Members of the house end up on top of each other and don’t have privacy. You end up avoiding having guests over because you feel embarrassed about your home. You waste energy clearing up, moving things around or changing things around for another activity to take place. What is the solution? You’ll have to wait for next week’s blog to find out! If you have been working on redecorating a room and things just don’t seem to be right, especially right when you sit in that chair and look around! If you were expecting a “wow its exactly like I imagined”, but got more of a “there’s something just not right yet”, then try these home decorating cures. Every room needs to be guided by a function, whether that is a multi-functioning space like a lounge that also acts like a walkway in a flat share or a relaxing space like a conservatory or reception room. If the function isn’t clear in a room, you may not be able to position furniture correctly and you might have even bought furniture that is the wrong size for the room to allow for other functions. Getting clarity on what you want to do in the room you are decorating is a really good way to judge whether it is a successful space, war least functionally! If your function in the room is clear, then you can easily decide what kind of storage you need. Bike hanging racks in a hallway could actually just be the ticket! I will usually question all of the potential uses of a space and wonder where things will go before I start any work on a room. I also question the items that are going to be stored and gather information about behaviour and personality as this helps to create imaginative possibilities (like using a low shelf as a desk). If your room doesn’t feel just right yet, check whether it is because you are missing something practical like somewhere to place your books whilst sitting in a chair under the window. This week we have been testing paint for our new kitchen and it hasn’t been easy! Of course, I wanted to use luxury paint like Farrow and Ball, Benjamin Moore, and Little Green because that is what I specify for my clients. The only problem is that colour matching works pretty well, its around 98% accurate, but in my experience, not with lighter colours! I would only colour match with mid-tone to darker colours as lighter colours (especially with expensive paint) are made up of complex pigments, which are what give the paint its subtle but beautiful colour. A matching machine will pick up the strongest colour it can read and then create a similar tone from the collection of colours it has and then mixes the colour for you. In my kitchen, initially, I wanted everything brilliant bright white, as you may know from following my blog, that my house is quite dark, but the kitchen is naturally the brightest room in the house and so I wanted to accentuate the feeling of brightness as this is going to be my haven! Once we painted the undercoat, the white felt bright, but a bit too stark in this situation, so I went to my trusty sources and chose a few of my well known “light grey” colours that I am confident using (aka have used more than a few times now). I colour matched the lighter colours hoping they would just “work”, but I realized that the colour matching on the Farrow and Ball Strong White was completely off (as in, un-useable off) because the colour match picked up a red undertone making the paint look pink, but it actually has more of a yellowy brown to it, so I couldn’t colour match to the colours I was hoping to use! I went and bought the super expensive, luxurious and gorgeous Farrow and Ball tester pot to see how it would look in my kitchen. The other problem I had though, now that I had at least the right colour on the wall, is that it wasn’t as subtle in this room as I had hoped! It was too dark. I just want the “lightest warmth” added to my walls. I want it to feel cosy but be super light at the same time. We still had the 25 Litre bucket of Leyland Brilliant Bright White sitting around and so we started testing how much colour we wanted. In the end, we came up with our colour and it was so subtle that we were pleased with it! So we decided to create our own subtle, custom colour by throwing a tester pot amount of our chosen colour (Colours light rain actually) into our mega bucket of cheap brilliant bright white, saving us hundreds and giving this designer her desired “subtle but bright” result! Expensive paint is not only VOC free or super low in VOC’s (usually), the colour pigments and mixes are really superior. They give you a depth and complexity that cheaper paints, just cannot mimic or create. Colour matching works well on mid-tone to darker colours. Trying to colour match lighter colours, isn’t accurate (at all in my opinion). 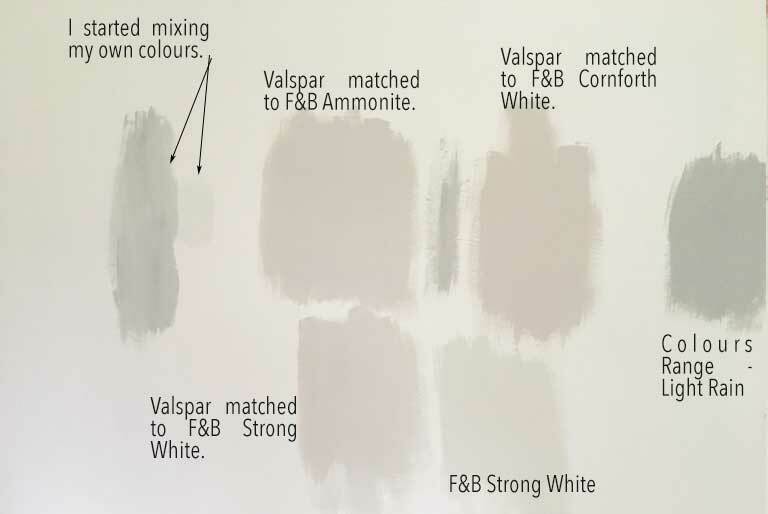 Mixing your own paint can be a really cost-effective way of getting a custom paint colour, especially if you mix it yourself and use a cheaper base for the mix. (We saved over £500 using our own mix over the Farrow & Ball tins… and got a perfect colour – one that was customised and perfect for the look and feel we wanted in our room). The amount of reflection and (I also think darkness) vary with the sheen. The truest colour (I find) is the most matt 2% sheen finish). The same colour in wood paint, metal paint or wall paint will always be a slightly different colour (usually the gloss will add the darkness to it – just my observation). I have worked on over 400 kitchens, either alongside a kitchen designer or just designing them for client’s (or bosses) and I always stick to the design rules I was taught. So, when it came to designing my own kitchen, I kept going around in circles, balancing my budget, style and functionality and getting no-where. My husband saved me from my own design rules and said: “we’re putting the fridge on the other wall and removing the kitchen table, period”. I cringed at the thought of my kitchen not functioning with a perfect work triangle and had to think about it (for a few weeks). I gave in because he was totally right. I had fallen into a trap with my kitchen designs that didn’t allow me to think freely first, practically second and I always led with practicality first. I suppose that has come from my love of kitchens, but also my requirement to always provide the most “appropriate” solution for my clients that was not only functional but beautiful. When it comes to joinery, work to millimetre precision (I remember learning that from a joiner I worked with and I had just been working on lots of old crooked buildings thinking “are you mad”? He was completely right. Even in an old crooked building, work to millimetre precision. That entails measuring the distances multiple times up the walls (to check if your walls are straight – lucky you if they are). Installing a new kitchen is probably one of the most expensive alterations the average person does in their property, so definitely consider it as a special place, even if you don’t like to cook or eat out a lot. I love designing kitchen areas in my projects! I really love imagining myself using each kitchen and really consider the absolute best scenario for each occasion. Think about the things you always wanted and think about budget later (boo). Starting off your design with a practical hat on will give you an uninspiring kitchen (always), so at least in the beginning, go and have some fun and check some inspirational images to get some cool ideas and motivate you to love the space a little more. I put these together because they are both equally important to my clients these days. Gone are the days where you cook on your own in a separate room. Yes there needs to be an option for closing the room off (or else consider noisy distractions and excellent extraction / ventilation), but ultimately, we want to monitor children, have the TV on in the background or be part of a conversation (at least once a week) while we cook in our kitchens and those times really matter. Think about the location of the main items sink, stove, oven, fridge and preparation areas and how you move around them (I always work to the work triangle – except in my own kitchen!) I LOVE to cook, so I just imagine myself cooking the biggest meal possible in every kitchen and if it can handle that situation at a time when I’m also wanting to socialise, then I know that she’ll be right mate. I always seem to be battled on this one. You always NEED more storage than you expect in a kitchen. If you are building a kitchen that is for a family, or for someone who likes to cook (moi), you NEED storage space, pantry space, space to put things that can’t be stacked on top of each other because it will ruin the coating kind of space. As I get older (waaah) I also can’t lift really heavy pans as easily as I used to, so not having to faff about lifting other heavy pans off of the ones I need to use is not only practical, it keeps the pain out cooking. Always add more space than you think you need. Consider the flow of your house and style of your kitchen. The one thing that makes me cringe every time with kitchens is getting the “style” wrong. Know what date your home was built, putting a glossy Art Deco style kitchen into a country cottage (or visa versa) just looks as though you don’t know what you are doing (or you made a mistake). Consider the context of your kitchen, in your home and as a whole. If you have a modern home, you have more flexibility with style, but again, a cutsie country cottage style kitchen in your high-rise might be a bit kitsch, so look around at the materials such as your windows and walls to guide your decisions. That gorgeous hot water tap and exceptional door style ARE going to cost more, so, more often than not, you will have to weigh up your options. If you just have to have that SubZero fridge, but its out of budget, why not try an alternative company that can also make up two separate fridge freezer columns or find a way of building in an American style fridge / freezer to give you the “same” (ok its not the same it’s kind of similar) feel. 100% of my clients request guidance with lighting when we start on their project. It hadn’t occurred to me before I started working for myself that this was something people didn’t really know about. Lighting is one of those things you definitely need to consider at the earliest stages of your design, this is because how you visualise the end result plays a vital role in what elements you actually see, and the ambience you create, but also because lighting control and automation and the technical requirements to fit specific types of lighting, need a lot of thought and design, “behind the scenes”. Think of each room separately but the whole house as a whole idea. For example, you know that you want a lit up wall behind the TV as a feature in the evening to create a mood in the living room, but if you walk out of the living room to the hall or into another room, how does that idea carry through? Perhaps just having the option of dimmers in the other rooms means that during the times where you like to have some mood, you have the choice to dim some of the other lights around the create an ambience in the entertaining areas of your home. This is where newbies get it really wrong. Usually, the complexities of associating or imagining the scale and or space mean that things look wrong when they are installed or don’t look or work the way you had hoped. This is where good old-fashioned facts come in and they help you get it right every time. Just measure the space, measure the light fitting and understand how the light emits from a chosen fitting. A lampshade has different shapes and diffusers to soften and adjust the light, so play around with the specific effects and variations. There are lots of different light fittings and bulbs and the type you choose will depend not only on the application but also on the mood you wanted to create when you designed the space. The height of your ceilings will affect how much light you see at the human level and different light types have different colours of light. I have had lighting manufacturers and even lighting designers change the lighting specification behind my back (or throw in another colour because they ran out of the one we needed on an order). Get your builder to check every single bulb and light fitting that you buy (especially if they are LED) and ensure they match your specification. You WILL notice that one light or two lights are different, if not straight away, further down the line when its too late to ask about it. 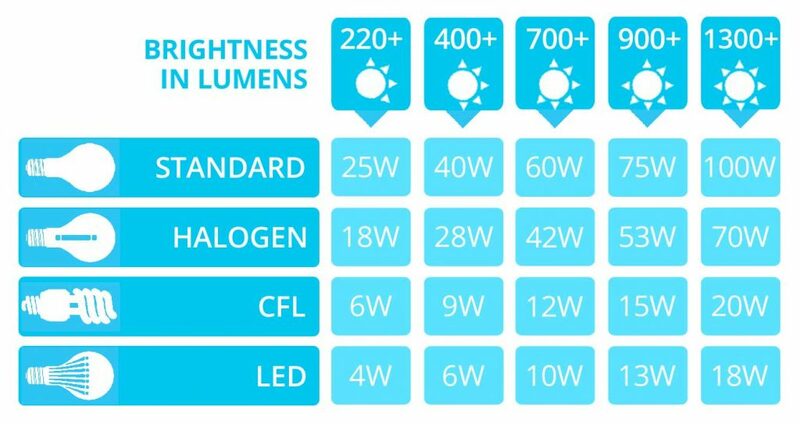 My rule of thumb for now is use a 3000Kelvin colour bulb for the most natural looking LED light. Its whiter than the yellow bulbs we were used to, but the colour rendering (the correctness of the colour you are seeing under the artificial light, is more accurate and less yellow) and we are starting to get used to the light not being so yellow these days (and even though I was hatin’ at first, I have smoothly transitioned into the less yellow world myself). Your Home. What’s It All About? What I meant by that was “What is this space going to be about”? We can create gorgeous spaces for any reason, but this will be a family home. I had to think about how people will live in it, how they will use the spaces, imagine a family gathering on the weekend for lunch or on a weekday morning for breakfast. Where would I want to be? Where would be my favourite place if it was me? I have also recently started demolishing my kitchen (YAY!) and I found myself thinking the same thing, what’s it all about? Where do I start with my dream kitchen in this home? (I believe that pretty much everything is site specific – that’s my second-year archi lecturer right there Elizabeth Musgrave, I’m still in love with her!) I find designing for myself the hardest because I seem to always break all of my own rules and things end up taking longer and there’s too much trial and error! But I realized that the kitchen is the brightest part of the house and that is why I want to love it so much. I can’t wait to knock down that badly installed partition with the door that doesn’t close and get new windows that have thinner frames so that as much light can come into our relatively dark English home. Some houses have a view that is so spectacular its pretty obvious what idea you are going to run with when designing the spaces, but what if there really isn’t that much that is truly special about a space? Its up to you to create the something special. And that is true creation. Working with a site’s existing qualities such as the sun, view, or orientation is how I was taught to start the design process for any new building. It was called site analysis. (It’s a pity the developer who built our 16-year-old home here in Berkshire hadn’t been taught the same). That means, most buildings are at least sited properly to take advantage of the natural environmental qualities. In the two situations above, I didn’t have control over that, so I had to create an idea or maximize the effect of a failed one. So we know in my home I am going to try and get the most out of the little bit of direct sunlight we get in that room, but what about the new build where I was working on the interior? My thoughts rested on the kitchen/dining space which was actually too large with too many doorways to be truly gorgeous and functional at the same time. What if there weren’t 40 doors into this kitchen? What if the space was slightly smaller to accommodate a feeling of togetherness rather than a large empty hallway? You see this was a 5 bedroom home for a family. Families have “stuff”, useful and annoying but they need space to put it. I have worked with the most amazing large families with literally no stuff. They are a very rare breed of human. The family who will live in this house will most probably need to put their “stuff” somewhere and that comes down to me and what I decide at this very early stage. So I used the opportunity in providing storage to define the spaces a little more. This made some spaces smaller, but also more functional, (no one needs to walk 25 steps from the oven to the fridge, seriously). By the end, I managed to create a happy balance between the empty large hall (kitchen) and functional, habitable rooms, but it needed an idea to close up the space, which isn’t something I would have naturally considered. So stay true to your idea as it is a clue to how to improve or create a great space. In the large family home the spaces were too large and impractical, so my idea was to use something practical to define the space and make it useful as well as beautiful and in my home I thought about why I liked that space (even though its all peach pastiche) and I realised it was the light. “Get your idea and run with it” That’s Elizabeth once again (circa 2002). 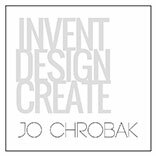 https://www.jochrobak.com/wp-content/uploads/2017/07/design-idea.jpg 514 768 Jo https://www.jochrobak.com/wp-content/uploads/2018/01/IDC.jpg Jo2017-07-04 07:54:162018-05-03 21:02:51Your Home. What's It All About? My husband asked me what I was writing this morning and I bet you thought the same thing when you read the title of today’s blog! “Yeah Right!” But when I told him what the three things were, his eyebrows raised and then he left without saying anything! So here are my 3 free ways to create a beautiful home! I know this is a running theme through my work but clearing clutter (regularly) and cleaning, dusting, refreshing, soaking things that get used will really get them back to life and is the easiest way to create a beautiful home. For example. I am living with this horrible white plastic kitchen sink that is around 16 years old. For its age, it should look much better than it does, but the whole kitchen is in a sad state, which reminds me what it was like to rent and I couldn’t change things I disliked in the house. Saving for my kitchen renovation really feels like I’m renting again, but nothing makes it spiffy like a serious clean. I try to use natural cleaning products, but I have to admit on the sink I need to pour bleach and let it sit for a few hours. It does come up all sparkly eventually, which really does make a huge difference. If you aren’t loving an area of your home or if you want to make a big change at home, start with a huge clean and clear out. It’s free and you could even make some money by selling some old items you don’t need anymore. Creating a chosen smell at home could come from picking some of your garden plants and arranging them stylishly in key areas such as the front door, hallway, living room and kitchen. When I lived in a tower block in London, I used to trim the lavender from the communal garden and I would have drying lavender for a week smelling so pretty, that I knew it was coming to Autumn. In spring I love Daffodils, and now that I have my own garden I have them for free! I also found that planting fragrant plants near my window and front door (such as Jasmine) really wafts inside and just makes me feel so good when I smell it! A vignette is really just a creative way of displaying a few objects and this extra effort you put into making little areas look nice definitely help create a beautiful home. You can do this on your bookshelf, coffee table, kitchen table/bar, entrance hall, bedside table, kitchen or bathroom window, dining room – you get the picture! You can just choose one place in every room where you can create something fun or special that brings you joy by jogging your memory (photographs) or by motivating you (inspirational quotes) or by creating nice smells (arranging flowers). The whole point with vignettes is that it should make you feel something when you see it. My favourite person to look to for vignette ideas is Kelly Hoppen (I know, I have an obvious lady crush), but hers always refer back to nature somehow, so I feel subconsciously drawn to them.